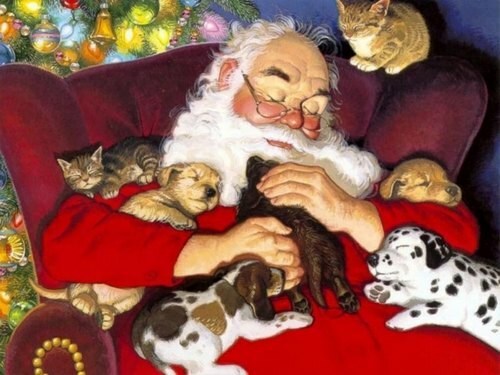 Santa with 子犬 and 子猫. . HD Wallpaper and background images in the クリスマス club. This クリスマス wallpaper might contain 猫, 真の猫, and 真の猫猫.